Volunteer for PTA activities by registering through our online membership platform here, or by clicking the Join Now link above. Current PTA members can volunteer directly here. Take advantage of our new membership app to make your volunteer sign ups and dates easy to track. Once you have registered as a PTA member, you can download the myschoolanywhere app for your mobile. From the website or app, select “Sign Up” to volunteer. If you don’t wish to join the PTA, you can still volunteer online. Visit http://bit.ly/pdptavolunteer, which will connect you with myschoolanywhere.com. If you aren’t already a PTA member, you’ll be prompted to register with an e-mail address. This doesn’t require payment or membership. We’re currently seeking the following coordinator positions — FUNDRAISING. 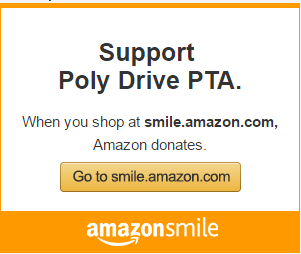 Join our dynamic PTA to keep the Poly PTA tradition going strong and growing on! Send an e-mail to polypta@billingsschools.org to learn more about these positions.